The chairman of the Indonesian Investment Coordinating Board (Badan Koordinasi Penanaman Modal or “BKPM”), Thomas Lembong, said on February 13, 2019, that the government was considering changes to the foreign capital investment rules for foreign universities and hospitals. According to Lembong, the changes being considered would open the way for foreign universities to open campuses in Indonesia and would allow for the establishment of foreign hospitals. Foreign capital investment in Indonesia is governed by the so-called Negative List, or in Indonesian the Daftar Negatif Investasi (“DNI”), which stipulates any restrictions on foreign investment in different business sectors. 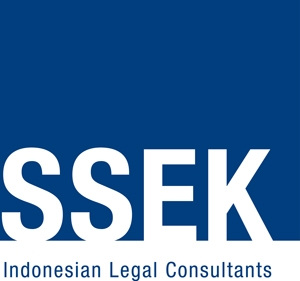 Business sectors are defined in the Indonesia Standard Industrial Classification (Klasifikasi Baku Lapangan Usaha Indonesia or “KBLI”). The current rules governing maximum foreign capital investment are found in Presidential Regulation No. 44 of 2016 regarding Lists of Business Fields that Are Closed and Business Fields that Are Open with Conditions to Investment (“2016 DNI”), and the 2017 KBLI as stipulated in Chairman of Central Statistics Agency Regulation No. 19 of 2017 regarding the Amendment of Chairman of Central Statistics Agency Regulation No. 95 of 2015 regarding the Indonesia Standard Industrial Classification (“2017 KBLI”). Under the 2017 KBLI, Private Hospital Activities fall under KBLI No. 86103, which is open to a maximum of 67% foreign capital investment (70% for investors from ASEAN countries). Foreign-owned private hospitals cannot operate in capital cities in eastern Indonesia, with the exception of Makassar and Manado. The 2016 DNI does not expressly regulate foreign capital investment limits for foreign private universities, which fall under KBLI No. 85321 on Private Academic ProgramBased Tertiary Education. Rather, it refers to Law No. 12 of 2012 regarding the National Education System (“Law 12/2012”) and its implementing regulations. Article 90 of Law 12/2012 stipulates that foreign private universities may be established in Indonesia. Further, Minister of Research, Technology and Higher Education Regulation No. 53 of 2018 regarding Foreign Tertiary Education (“MRTHE Reg. 53/2018”) provides that foreign private universities may be established within Special Economic Zones (Kawasan Ekonomi Khusus) as long as the programs offered by the university rank among the world’s top 200. MRTHE Reg. 53/2018 provides that the ministry will determine the “top 200” universities using its own standards. Although no specific capital investment limits are found in existing regulations on foreign universities, including those issued by the MRTHE, the government has previously indicated that Indonesia was closed to foreign universities, and as of this writing no foreign university has obtained a license from the government to operate in Indonesia. However, in a recent statement, the BKPM chairman said the government intended to allow foreign capital investment for foreign private universities, raising the possibility that foreign universities will be able to open campuses in Indonesia. Under a proposed amendment of the DNI, the government has indicated that foreign private universities will be open to 67% foreign capital investment and may be open to 100% foreign capital investment if the university is established in a Special Economic Zone. Meanwhile, the government has not hinted how the foreign investment rules for hospitals may change, but it seems likely that the government will relax the DNI rules applicable to foreign hospitals to allow 100% control by foreign investors.